“For the next few months I continued to visit my father every day, and he taught me more about the Great Perfection. Often times we wouldn’t talk at all as we sat together. 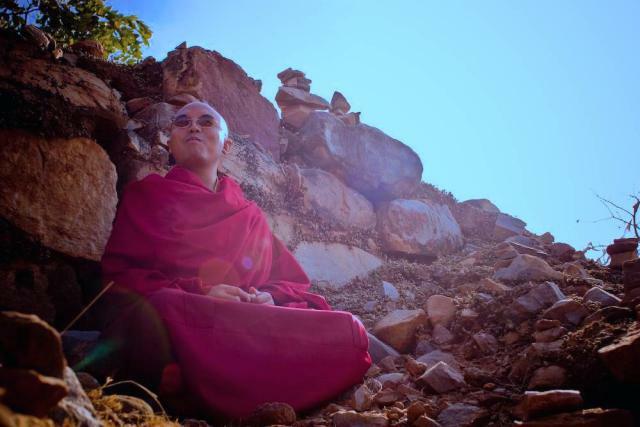 My father (Tulku Urgyen Rinpoche) would simply sit in front of the large window and gaze off into the sky as I sat quietly by his side and tried to meditate. I desperately wanted his approval, so I always did my best imitation of what I thought a good meditator should do. I sat bolt upright and tried to make it look like I was absorbed in some deep experience, while in actuality I was just repeating a mantra in my mind and trying not to get lost in thought. Occasionally, I would open my eyes and peek up at my father, hoping that he had noticed my good meditation posture and ability to sit still for so long.